Goose Island will be releasing three new beers between now and the end of 2014 to "celebrate the aroma and taste of hops." The first, Ten Hills Pale Ale, will be available nationally starting in December. The brewery bottled and numbered 100 bottles, giving 50 lucky people a pair to check out before the official roll out. I happened to get bottles #75 and #76. In addition, the label on those 100 bottles is also customized with the Goose Island brewer's signatures: Brett Porter, Keith Gabbett, and Jared Jankoski. 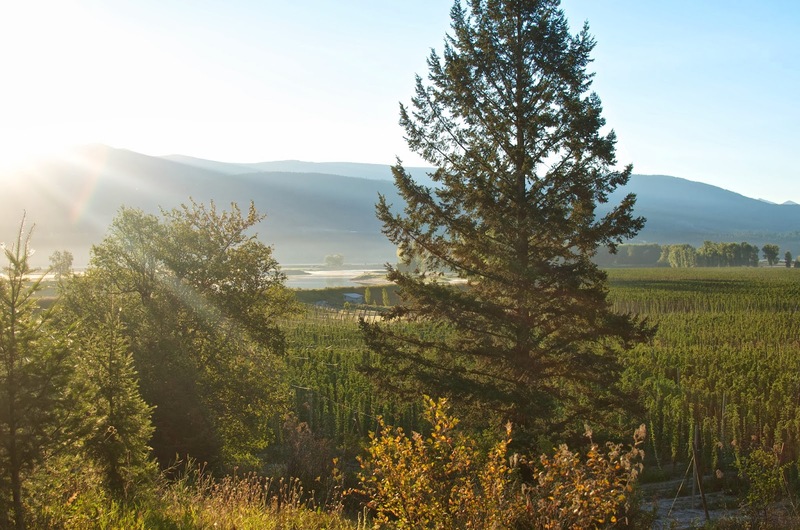 The Ten Hills name refers to the original planting of hops for Goose Island at the Elk Mountain Farms in Bonners Ferry, Idaho. Today, Elk Mountain Farms grows over 200,000 hills of hops for them.6.2% alcohol. 48 IBU. I poured the beer into my new Goose Island pint glass. Nice aroma--orange, herbal with some additional soft fruity scents. Love the malty sweetness up front. Honeysuckle, caramel, apricots and oranges. Ten Hills also has an herbal character throughout. That initial sweetness is met by an ample amount of hops to bitter things up perfectly. Nice balance leaning bitter, especially in the finish. Carbonation is prickly and refreshing. This is a flavorful and tasty beer. I'd check it out!